You give your all for our country, and we want to be able to give a little something back. 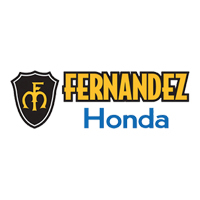 When you come into Fernandez Honda in San Antonio, TX, we want to make sure you take advantage of our Honda Military Offer. The Military Appreciation Offer of $500 towards MSRP can be used toward the purchase or lease of any new Honda model year using a valid Honda APR, Honda Leadership Lease®, or Honda Leadership Purchase Plan® program through HFS (excludes Zero Due at Signing Lease program). Who is Eligible for Our Military Offer? If you fall into any of the categories above, visit our San Antonio Honda dealership today and let us give you an exclusive deal on a new Honda. What Documents Should You Bring to Claim Your Military Offer? Spouses of a member of the U.S. Military must provide proof of relationship by presenting a Military ID, and provide spouse’ LES. Only a copy of the LES will be retained by the dealership for verification. Only one $500 Military Appreciation Certificate per vehicle. The certificate can be combined with all other Honda Financial Services programs, except Zero Due at Signing Lease program. Offer valid through March 31, 2019 unless terminated earlier by HFS. NOTE: During the term of the retail installment finance contract or lease with Honda Financial Services, buyer may not take their vehicle outside the United States without the prior written consent of Honda Financial Services. During the term of the retail installment finance contract or lease, buyer must notify Honda Financial Services immediately of any change in the buyer’s address. Once you have all the right documentation in hand, come to Fernandez Honda in San Antonio, TX to gain access to our military appreciation offer! If you have any questions, you can give us a call at . Get started today by checking out our new inventory online now!